The National Aeronautics and Space Administration (NASA, pronounced /ˈnæsə/) is an agency of the United States government, responsible for the nation's public space program. 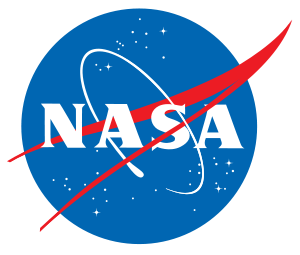 NASA was established on July 29, 1958, by the National Aeronautics and Space Act. In addition to the space program, it is also responsible for long-term civilian and military aerospace research. Since February 2006 NASA's self-described mission statement is to "pioneer the future in space exploration, scientific discovery, and aeronautics research." NASA's motto is "For the benefit of all". 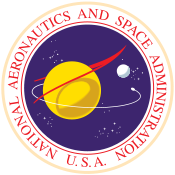 The NASA "worm" logo used from 1975 to 1992. After the Soviet space program's launch of the world's first human-made satellite (Sputnik 1) on October 4, 1957, the attention of the United States turned toward its own fledgling space efforts. The U. S. Congress, alarmed by the perceived threat to U. S. security and technological leadership (known as the "Sputnik crisis"), urged immediate and swift action; President Dwight D. Eisenhower and his advisers counseled more deliberate measures. Several months of debate produced an agreement that a new federal agency was needed to conduct all non-military activity in space. The Advanced Research Projects Agency (ARPA) was also created at this time. From late 1957 to early 1958, the National Advisory Committee for Aeronautics (NACA) began studying what a new non-military space agency would entail, as well as what NACA's role might be, and assigned several committees to review the concept. On January 12, 1958, NACA organized a "Special Committee on Space Technology," headed by Guyford Stever. Stever's committee included consultation from the ABMA's large booster program, referred to as the "Working Group on Vehicular Program," headed by Wernher von Braun. Von Braun became a naturalized citizen of the United States after World War II. Launched at 10:48 pm EST on January 31, 1958, Explorer 1, officially Satellite 1958 Alpha, became the U.S.'s first artificial satellite of Earth. On March 5, PSAC Chairman James Killian wrote a memorandum to President Eisenhower, entitled "Organization for Civil Space Programs," encouraging the creation of a civil space program based upon a "strengthened and redesignated" NACA which could expand its research program "with a minimum of delay." In late March, a NACA report entitled "Suggestions for a Space Program" included suggestions for subsequently developing a hydrogen fluorine fueled rocket of 1-million-pound thrust designed with second and third stages. In April 1958, President Eisenhower delivered to the U.S. Congress a formal executive address favoring the notion of a national civilian space agency and submitted an Administrative bill to create a "National Aeronautical and Space Agency." NACA's former role of research alone would change to include large-scale development, management, and operations. The U.S. Congress passed the bill, somewhat reworded, as the National Aeronautics and Space Act of 1958, on July 16. Only two days later von Braun's Working Group submitted a preliminary report severely criticizing the duplication of efforts and lack of coordination among various organizations assigned to the United States' space programs. Stever's Committee on Space Technology concurred with the criticisms of the von Braun Group (a final draft was published several months later, in October). On July 29, 1958, President Eisenhower signed the National Aeronautics and Space Act, establishing the National Aeronautics and Space Administration. When it began operations on October 1, 1958, NASA absorbed the 46-year-old NACA intact; its 8,000 employees, an annual budget of US$100 million, and three major research laboratories — Langley Aeronautical Laboratory, Ames Aeronautical Laboratory, and Lewis Flight Propulsion Laboratory — and two small test facilities. Elements of the Army Ballistic Missile Agency, of which von Braun's team was a part, and the Naval Research Laboratory were incorporated into NASA. A significant contributor to NASA's entry into the space race was the technology from the German rocket program (led by Wernher von Braun) which in turn incorporated the technology of Robert Goddard's earlier works. Earlier research efforts within the U.S. Air Force and many of ARPA's early space programs were also transferred to NASA. 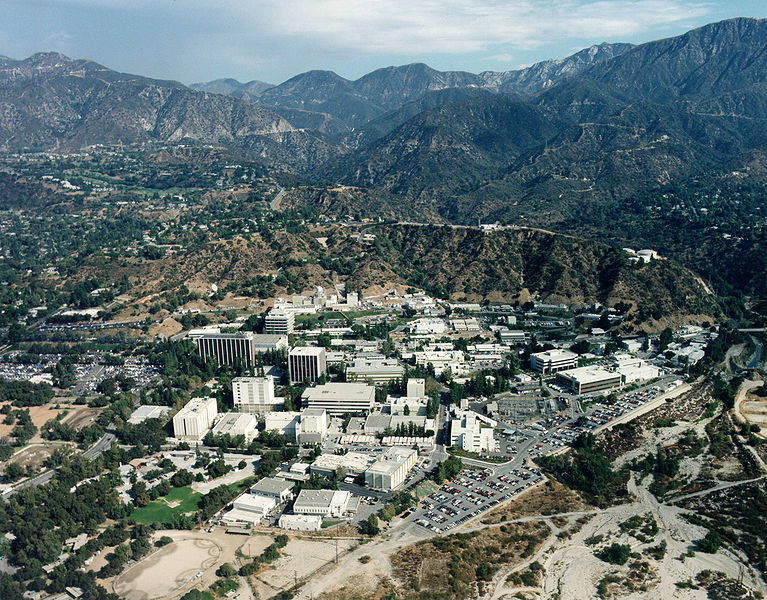 In December 1958, NASA gained control of the Jet Propulsion Laboratory, a contractor facility operated by the California Institute of Technology. 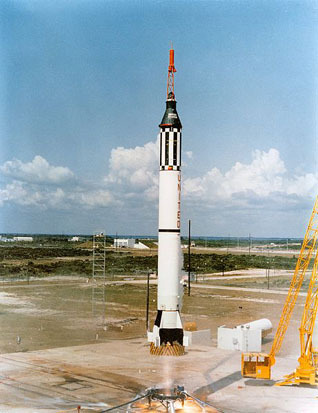 May 5, 1961 launch of Redstone rocket and NASA's Mercury Freedom 7 with Alan Shepard on the United States' first manned sub-orbital spaceflight. NASA's earliest programs involved research into human spaceflight and were conducted under the pressure of the competition between the U.S. and the USSR (the Space Race) that existed during the Cold War. Project Mercury, initiated in 1958, started NASA down the path of human space exploration with missions designed to discover simply if man could survive in space. Representatives from the U.S. Army (M.L. Raines, LTC, USA), Navy (P.L. Havenstein, CDR, USN) and Air Force (K.G. Lindell, COL, USAF) were selected/requested to provide assistance to the NASA Space Task Group through coordination with the existing U.S. defense research and defense contracting infrastructure, and technical assistance resulting from experimental aircraft (and the associated military test pilot pool) development in the 1950s. On May 5, 1961, astronaut Alan Shepard—one of the seven Project Mercury astronauts selected as pilot for this mission—became the first American in space when he piloted Freedom 7 on a 15-minute suborbital flight. John Glenn became the first American to orbit the Earth on February 20, 1962 during the 5 and a quarter-hour flight of Friendship 7. After the Mercury project, Project Gemini was launched to conduct experiments and work out issues relating to a moon mission. The first Gemini flight with astronauts on board, Gemini 3, was flown by Gus Grissom and John Young on March 23, 1965. Nine other missions followed, showing that long-duration human space flight was possible, proving that rendezvous and docking with another vehicle in space was possible, and gathering medical data on the effects of weightlessness on human beings. During this time NASA also began to explore the solar system with unmanned probes. As with the manned program, the Soviets had the first successes, such as the first photographs of the lunar far side, but NASA's Mariner 2 was the first space probe to visit another planet, Venus, in 1962. The Apollo program was designed to land humans on the Moon and to bring them safely back to Earth. Apollo 1 ended tragically when all the astronauts inside died due to fire in the command module during an experimental simulation. Because of this incident, there were a few unmanned tests before men boarded the spacecraft. Apollo 8 and Apollo 10 tested various components while orbiting the Moon, and returned photographs. 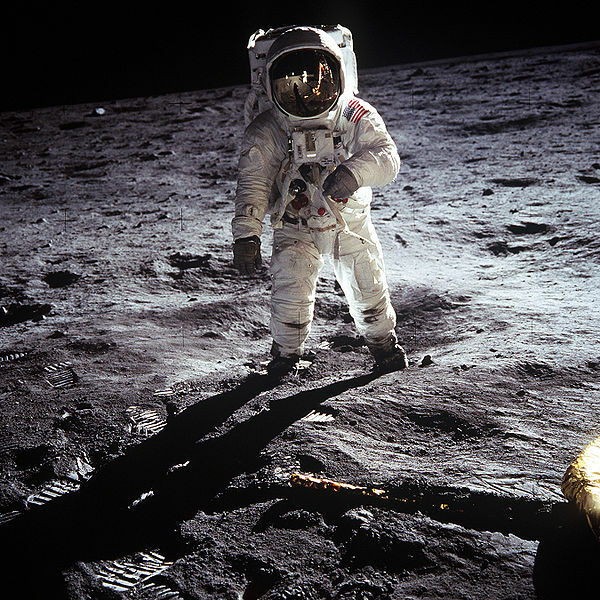 On July 20, 1969, Apollo 11, landed the first men on the moon, Neil Armstrong and Buzz Aldrin. Apollo 13 did not land on the Moon due to a malfunction, but did return photographs. The six missions that landed on the Moon returned a wealth of scientific data and almost 400 kilograms of lunar samples. Experiments included soil mechanics, meteoroids, seismic, heat flow, lunar ranging, magnetic fields, and solar wind experiments. The National Air and Space Museum display of Apollo-Soyuz. Space Shuttle Columbia, April 12, 1981. 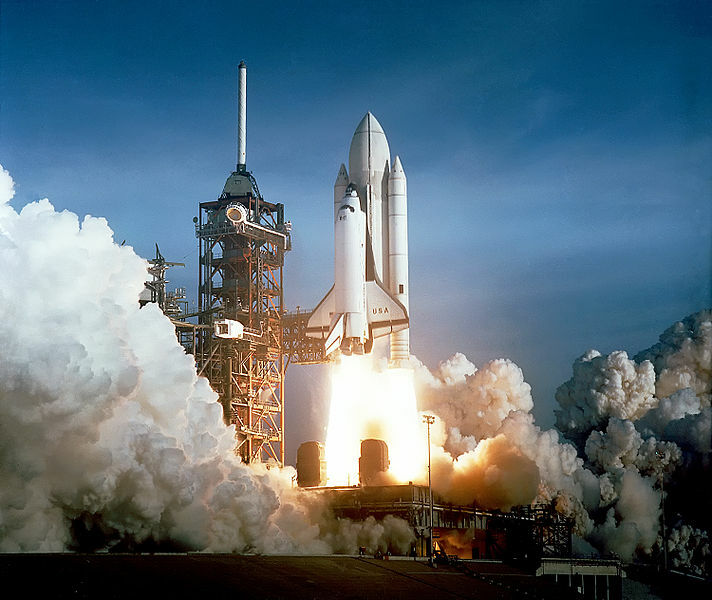 The shuttle was not all good news for NASA – flights were much more expensive than initially projected, and the public again lost interest as missions appeared to become mundane until the 1986 Challenger disaster again highlighted the risks of space flight. Work began on Space Station Freedom as a focus for the manned space program, but within NASA there was argument that these projects came at the expense of more inspiring unmanned missions such as the Voyager probes. In 1995 Russian-American interaction resumed with the Shuttle-Mir missions. Once more an American vehicle docked with a Russian craft, this time a full-fledged space station. This cooperation continues to today, with Russia and America the two biggest partners in the largest space station ever built – the International Space Station (ISS). The strength of their cooperation on this project was even more evident when NASA began relying on Russian launch vehicles to service the ISS during the two year grounding of the shuttle fleet following the 2003 Space Shuttle Columbia disaster, which killed the crew of six Americans and one Israeli, caused a 29-month hiatus in space shuttle flights and triggered a serious re-examination of NASA's priorities. The U.S. government, various scientists, and the public all reconsidered the future of the space program. Costing over $100 billion, it has been difficult at times for NASA to justify the ISS. The population at large has historically been hard to impress with details of scientific experiments in low earth orbit, preferring news of grand projects to exotic locations such as the moon and Mars. 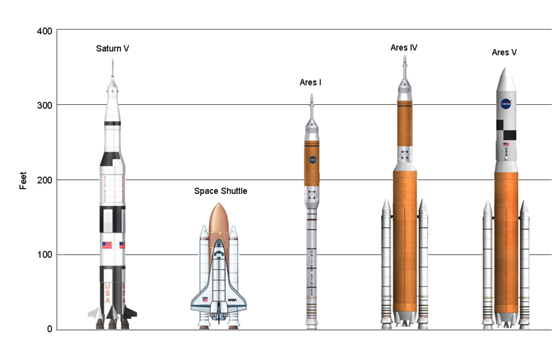 Left to Right: Saturn V, which last carried men to the Moon, the Space Shuttle, the planned Ares I, proposed Ares IV and planned Ares V launch vehicles. 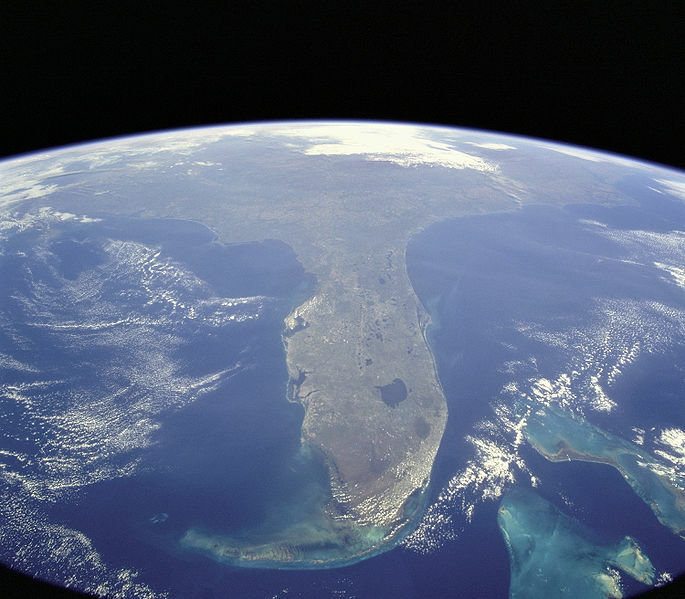 It is the current space policy of the United States that NASA, "execute a sustained and affordable human and robotic program of space exploration and develop, acquire, and use civil space systems to advance fundamental scientific knowledge of our Earth system, solar system, and universe." NASA's ongoing investigations include in-depth surveys of Mars and Saturn and studies of the Earth and the Sun. Other NASA spacecraft are presently en route to Mercury and Pluto. With missions to Jupiter in planning stages, NASA's itinerary covers over half the solar system. An improved and larger planetary rover, Mars Science Laboratory, is under construction and slated to launch in 2011, after a slight delay caused by hardware challenges, which has bumped it back from the October 2009 scheduled launch. The New Horizons mission to Pluto was launched in 2006 and will fly by Pluto in 2015. The probe received a gravity assist from Jupiter in February 2007, examining some of Jupiter's inner moons and testing on-board instruments during the fly-by. On the horizon of NASA's plans is the MAVEN spacecraft as part of the Mars Scout Program to study the atmosphere of Mars. Orion Contractor Selected August 31, 2006, at NASA Headquarters. On January 14, 2004, ten days after the landing of the Mars Exploration Rover Spirit, US President George W. Bush announced a new plan for NASA's future, dubbed the Vision for Space Exploration. According to this plan, mankind will return to the Moon by 2018, and set up outposts as a testbed and potential resource for future missions. The Space Shuttle will be retired in 2010 and Orion will replace it by 2015, capable of both docking with the International Space Station (ISS) and leaving the Earth's orbit. The future of the ISS is somewhat uncertain – construction will be completed, but beyond that is less clear. Although the plan initially met with skepticism from Congress, in late 2004 Congress agreed to provide start-up funds for the first year's worth of the new space vision. From 2002, NASA’s mission statement, used in budget and planning documents, read: “To understand and protect our home planet; to explore the universe and search for life; to inspire the next generation of explorers ... as only NASA can.” In early February 2006, the statement was altered, with the phrase “to understand and protect our home planet” deleted. Some outside observers believe the change was intended to preserve the civilian nature of the agency, while others suspected it was related to criticism of government policy on global warming by NASA scientists like James Hansen. NASA officials have denied any connection to the latter, pointing to new priorities for space exploration. The chair and ranking member of the U.S. Senate Committee on Homeland Security and Governmental Affairs wrote NASA Administrator Griffin on July 31, 2006 expressing concerns about the change. NASA also canceled or delayed a number of earth science missions in 2006. On December 4, 2006, NASA announced it was planning to build a permanent moon base. NASA Associate Administrator Scott Horowitz said the goal was to start building the moonbase by 2020, and by 2024, have a fully functional base, that would allow for crew rotations and in-situ resource utilization. Additionally, NASA plans to collaborate and partner with other nations for this project. On September 28, 2007 Michael D. Griffin, who was at the time Administrator of NASA, stated that NASA aims to put a man on Mars by 2037, and in 2057, "We should be celebrating 20 years of man on Mars." NASA has had many successful space missions and programs, including over 150 manned missions. Many of the notable manned missions were from the Apollo program, a sequence of missions to the Moon which included the achievement of the first man to walk on the Moon, during Apollo 11. The Space Shuttle program has also been a success, despite the loss of two of the Space Shuttles, Challenger and Columbia which resulted in the deaths of their entire crews. The Space Shuttles were able to dock with the space station Mir while it was operational, and are now able to dock with the International Space Station – a joint project of many space agencies. NASA's future plans for space exploration are with the Project Constellation. There have been many unmanned NASA space missions as well, including at least one that visited each of the other seven planets in our Solar System, and four missions (Pioneer 10, Pioneer 11, Voyager 1, and Voyager 2) that have left our solar system. There has been much recent success with the missions to Mars, including the Mars Exploration Rovers, the Mars Reconnaissance Orbiter, and the Phoenix Mars Lander. NASA remains the only space agency to have launched space missions to the outer solar system beyond the asteroid belt. The Cassini probe, launched in 1997 and in orbit around Saturn since mid-2004, is investigating Saturn and its inner satellites. 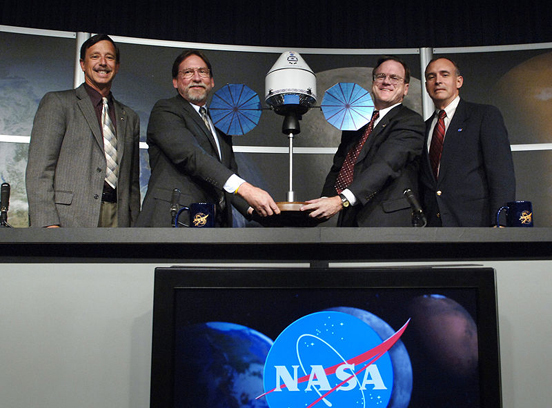 With over twenty years in the making, Cassini-Huygens is an example of international cooperation between JPL-NASA and the European Space Agency (ESA). Built entirely by the Jet Propulsion Laboratory (JPL) in Pasadena, California, NASA probes have been continually performing science at Mars since 1997, with at least two orbiters since 2001 and several Mars rovers. 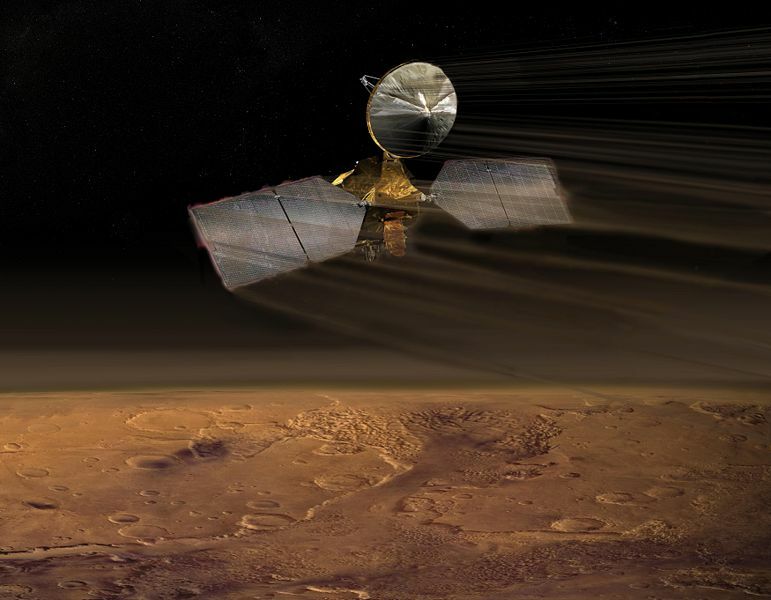 The orbiting Mars Odyssey and Mars Reconnaissance Orbiter will continue monitoring the geology and climate of the Red Planet, as well as searching for evidence of past or present water and life, as they have since 2001 and 2006, respectively. If the Mars Global Surveyor spacecraft's nine-year lifetime is typical, these probes will continue to advance our knowledge for years to come. The Mars Exploration Rovers Spirit and Opportunity have been traversing the surface of Mars at Gusev crater and Meridiani Planum since early 2004, and will continue to image and investigate those environments. They have both already operated over seventeen times longer than expected, and remain a promising part of NASA's future. Adding to this flotilla is the Phoenix Mars Lander, which executed a perfect powered touchdown in the northern latitudes of Mars on May 25, 2008 after a 10-month journey of more than 420 million miles. With the creation of NASA in 1958, the NACA was abolished, and its research centers-- Ames Research Center, Lewis Research Center, and Langley Aeronautical Laboratory--were incorporated within the new space and aeronautics agency along with some elements of the U.S. Army and U.S. Navy. In 1967, Congress directed NASA to form an Aerospace Safety Advisory Panel (ASAP) to advise the NASA Administrator on safety issues and hazards in NASA's aerospace programs. In addition, there were the Space Program Advisory Council and the Research and Technology Advisory Council. In 1977, these were all combined to form the NASA Advisory Council (NAC) which is the successor to the National Advisory Committee for Aeronautics. The Administrator of NASA is the highest-ranking official of that organization and serves as the senior space science adviser to the President of the United States. The position of Administrator is currently vacant, as former NASA Administrator Michael D. Griffin, whose term started on April 14, 2005, resigned effective January 20, 2009. Associate Administrator Christopher Scolese has been named NASA's Acting Administrator. The position of Deputy Administrator of NASA is also currently vacant. Shana Dale, who started her term on November 4, 2005, resigned her office effective January 17, 2009. On May 24, 2009, President Barack Obama announced the nomination of Charles Bolden as NASA Administrator, and Lori Garver as Deputy NASA Administrator . Bolden and Dale would become NASA Administrator and Deputy Administrator respectively upon successful confirmation by the United States Senate. NASA's headquarters is located in Washington, D.C.
NASA's Shared Services center is located on the grounds of the John C. Stennis Space Center near Bay St. Louis, Mississippi. Construction of their facility began in August 2006 and it was completed in June 2008. NASA has field and research installations listed below by application. Some facilities serve more than one application due to historical or administrative reasons. 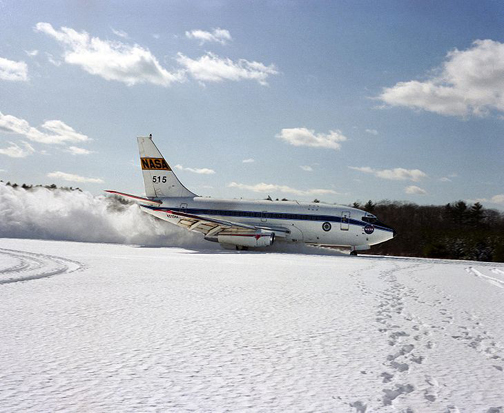 A NASA Boeing 737-100 landing. A NASA Shuttle Carrier Aircraft, a modified Boeing 747-100SR. B-57 Canberra. Two Martin WB-57Fs are currently operating from Lyndon B. Johnson Space Center as high altitude research platforms for atmospheric research and Space Shuttle monitoring. Boeing 747. Two 747s, one registered N905NA (which is a 747-100 model that was acquired from American Airlines in 1974) and a second registered N911NA (a 747-100SR model purchased from Japan Airlines in 1988) are currently used by NASA as Shuttle Carrier Aircraft. Another Boeing 747 (a 747SP model purchased from United Airlines in 1996) is in use since 2007 as SOFIA. C-141 Starlifter. In the early 1960s a single C-141A was procured by NASA for use as a heavy transport aircraft. The C-141A Kuiper Airborne Observatory, was operated from 1974 to 1995. C-5 Galaxy. Two specially designed C-5Cs were procured by NASA for use as a heavy transport aircraft and flown by USAF crews. C-9 Skytrain II. One ex-USN C-9B was taken in hand in 2005 to replace the famous KC-135s used in NASA's Reduced Gravity Research Program. Convair 990. Nicknamed Galileo, it was used as an airborne laboratory for research in aeronautics, astronautics, astronomy, and earth observations. The Galileo I aircraft perished in a mid-air collision in 1973. The Galileo II continued service into the 1980s. F-104 Starfighter. Three F-104Gs delivered to NASA in 1963 for use as high speed chase aircraft and redesignated F-104N. One of these aircraft, piloted by Joe Walker, collided with the XB-70 Valkyrie experimental bomber on June 8, 1966, killing Walker. NASA retired its last F-104 in 1995. F-106 Delta Dart. From 1986 a handful of F-106As, redesignated QF-106A, were retained by NASA for test purposes, the last being retired in 1998. F-15 Eagle. One modified ex-USAF F-15, the F-15S/MTD, has been in use as a technology demonstrator and technology research aircraft since 1993, being used in the ACTIVE (1993-1999) and IFCS (2002-) programs. F-16 Fighting Falcon. From 1988 until 1999, 2 prototypes of the F-16XL, designed as a competitor to the F-15E Strike Eagle in the USAF's Enhanced Tactical Fighter program, were taken in hand by NASA for aeronautical research. F-8 Crusader. Several F-8Cs were used by NASA in the early 1970s to test such features as Digital Fly-By-Wire Control System and supercritical wings, which have become standard on modern high performance military aircraft. KC-135 Stratotanker. Two ex-USAF KC-135As (designated N930NA and N931NA) were used by NASA from 1973 to 2004 for the Reduced Gravity Research Program, where potential astronauts are exposed to simulated near-weightlessness. It were these aircraft that collectively gained the name Vomit Comet. Paresev. The Paresev program included the Paresev 1B designed by Charles Richard and flown by eight pilots was a hanging-pilot glider; the ornamental lines of the wing of the Paresev 1B along with influence from the Fleep and other related actions and patents by Francis M. Rogallo gave foundation to the large hang gliders, ultralight trikes, and ultralight aircraft developments from 1960 forward; in count, this development has been outnumbering all other manned aircraft in the world. P-3 Orion. NASA currently uses the P-3 as an earth-science suborbital research platform and is located at Goddard Space Flight Center's Wallops Flight Facility, Virginia. SR-71 Blackbird. Two SR-71Bs were used as trainers by NASA between 1991 and 1999. T-38 Talon. A number of T-38As have been used by NASA as jet trainers for its astronauts since the 1960s. NASA's T-38 fleet is housed primarily at Ellington Field in Houston, Texas. U-2 "Dragon Lady". Two U-2s have been modified to the ER-2 (Earth Resources -2) standard and are currently in use at Dryden Flight Research Center for use in various high altitude research projects. North American X-15. Rocket plane which flew from 1959 to 1968. Conceived by NACA, three were built and explored the regime of hypersonic flight. 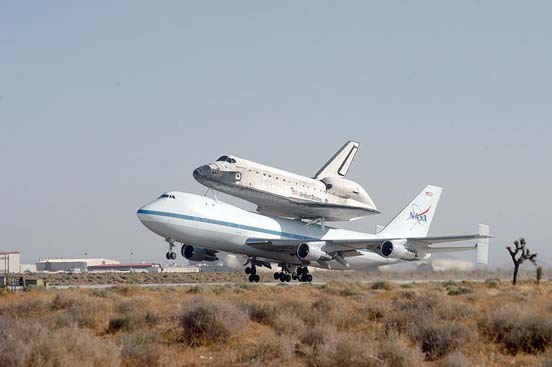 It is often regarded as a direct predecessor to the Space Shuttle. Shuttle Training Aircraft - 4 Grumman Gulfstream II are used as advance trainers; they are stations at NASA Forward Operating Location in El Paso, Texas and rotated through Ellington Field (southeast of Houston, Texas). Florida, USA, taken from NASA Shuttle Mission STS-95 on October 31, 1998. NASA presently bestows a number of medals and decorations to astronauts and other NASA personnel. Some awards are authorized for wear on active duty military uniforms. The highest award is the Congressional Space Medal of Honor, which has been awarded to 28 individuals (17 posthumously), and is said to recognize "any astronaut who in the performance of his duties has distinguished himself by exceptionally meritorious efforts and contributions to the welfare of the Nation and mankind." The second highest NASA award is the NASA Distinguished Service Medal, which may be presented to any member of the federal government, including both military astronauts and civilian employees. It is an annual award, given out at the National Aeronautics Space Foundation plant, located in Orlando, Florida. In the middle of the 20th century NASA augmented its mission of Earth’s observation and redirected it toward environmental quality. The result was the launch of Earth Observing System (EOS) in 1980s, which was able to monitor one of the global environmental problems – ozone depletion. The first comprehensive worldwide measurements were obtained in 1978 with the Nimbus-7 satellite and NASA scientists at the Goddard Institute for Space Studies. In one of the nation's largest restoration projects NASA technology helps state and federal government reclaim 15,100 acres (61 km) of salt evaporation ponds in South San Francisco Bay. Satellite sensors are used by scientists to study the effect of salt evaporation on local ecology. NASA has started Energy Efficiency and Water Conservation Program as an agency-wide program directed to prevent pollution and reduce energy and water utilization. It helps to ensure that NASA meets its federal stewardship responsibilities for the environment. NASA is working in cooperation with National Renewable Energy Laboratory (NREL). The goal is to obtain to produce worldwide solar resource maps with great local detail. NASA was also one of the main participants in the evaluation innovative technologies for the clean up of the sources for dense non-aqueous phase liquids (DNAPLs). 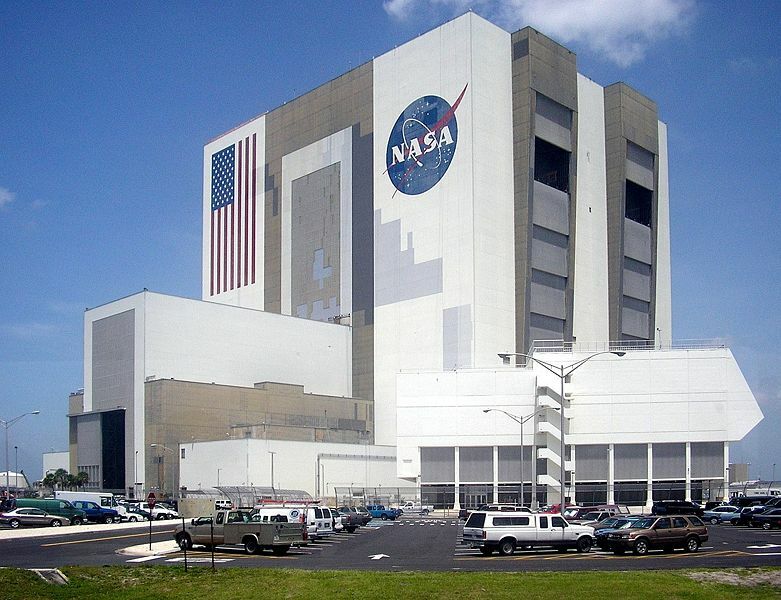 On April 6, 1999, the agency signed The Memorandum of Agreement (MOA) along with the United States Environmental Protection Agency‎, DOE, and USAF authorizing all the above organizations to conduct necessary tests at the John F. Kennedy Space center. The main purpose was to evaluate two innovative in-situ remediation technologies, thermal removal and oxidation destruction of DNAPLs. National Space Agency made a partnership with Military Services and Defense Contract Management Agency named the “Joint Group on Pollution Prevention”. The group is working on reduction or elimination of hazardous materials or processes. On May 8, 2003, Environmental Protection Agency recognized NASA as the first federal agency to directly use landfill gas to produce energy at one of its facilities - the Goddard Space Flight Center, Greenbelt, Maryland. Currently, the International Space Station (ISS) relies on the Shuttle fleet for all major construction shipments. The Shuttle fleet lost two spacecraft and fourteen astronauts in two disasters: Challenger in 1986, and Columbia in 2003. While the 1986 loss was mitigated by building the Space Shuttle Endeavour from replacement parts, NASA has no plans to build another shuttle to replace the second loss, and instead will be transitioning to a new spacecraft called Orion. The ISS was envisioned to eventually have a crew of seven, but following the Columbia Shuttle accident, the permanent space station crew of three was reduced to two, comprising one Russian and one American for six months at a time. The result was that European and Japanese astronauts could not stay for longer missions. In 2006, the station was restored to a crew of three, and was increased to six in May 2009, during Expedition 20. Other nations that have invested in the space station's construction, such as the members of the European Space Agency (ESA) and the Japanese Aerospace Exploration Agency (JAXA), have expressed concern over the completion of the ISS. 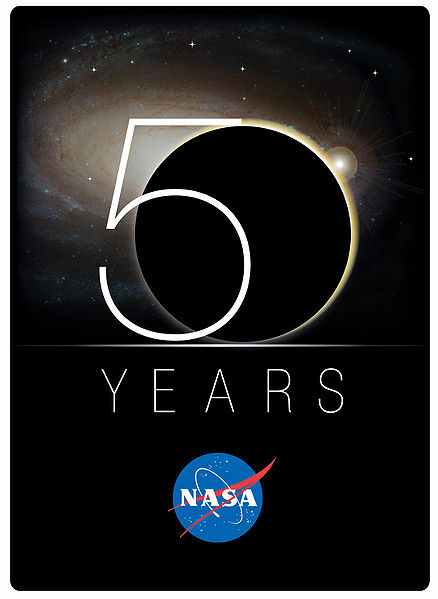 The schedule NASA planned does have flexibility in it, and Associate Administrator for Space Operations William H. Gerstenmaier explained that the shuttle had completed three missions within six months in 2007, showing that NASA can still meet the deadlines necessary for the critical flights remaining. Following the arrest of Lisa Nowak in February 2007, NASA Administrator Michael D. Griffin commissioned an independent panel, the NASA Astronaut Health Care System Review Committee, to examine how well NASA attended to the mental health of its astronauts. The initial report released by the panel raised questions in regards to possible alcohol use prior to flight. However, the report offered no specifics, no facts to substantiate the claims, and stated that no attempt to confirm or investigate the allegations had been performed. Shuttle commander Scott J. Kelly was vocal in his criticism of the report during interviews prior to STS-118, stating that it was beyond his comprehension that astronauts would ever consider what was suggested. Following the release of the independent panel report, NASA ordered an internal review, The Space Flight Safety Review. In response to the internal review, policies at NASA would be changed in a variety of ways: Flight surgeons would be present during the pre-mission suit-up activities, flight surgeons would receive additional training in psychiatric evaluation, and although there was an unofficial code of conduct in place, an official "Code of Conduct" would be written up for employees. Alan Stern, NASA's "hard-charging" and "reform-minded" Associate Administrator for the Science Mission Directorate, resigned on March 25, 2008, to be effective April 11, after he allegedly ordered funding cuts to the Mars Exploration Rover (MER) and Mars Odyssey that were overturned by NASA Administrator Michael D. Griffin. The cuts were intended to offset cost overruns for the Mars Science Laboratory. Stern has stated that he "did not quit over MER" and that he "wasn’t the person who tried to cut MER". Stern, who served for nearly a year and has been credited with making "significant changes that have helped restore the importance of science in NASA’s mission. ", says he left to avoid cutting healthy programs and basic research in favor of politically sensitive projects. Griffin favors cutting "less popular parts" of the budget, including basic research, and Stern's refusal to do so led to his resignation.